Preliminary ab initio calculations were done in Quantum ESPRESSO to obtain the piezoelectric coefficients of BaNiO3 by computing the stress and polarization induced by strain. The linear elastic response to strain was investigated under the six deformation modes to obtain full elastic stiffness tensor. A linear polarization response was found using the Berry-phase method. These results would be utilized in future work to calculate the piezoelectric coefficients of BaNiO3 and other perovskites. P. D. Ang and F. N. Paraan. 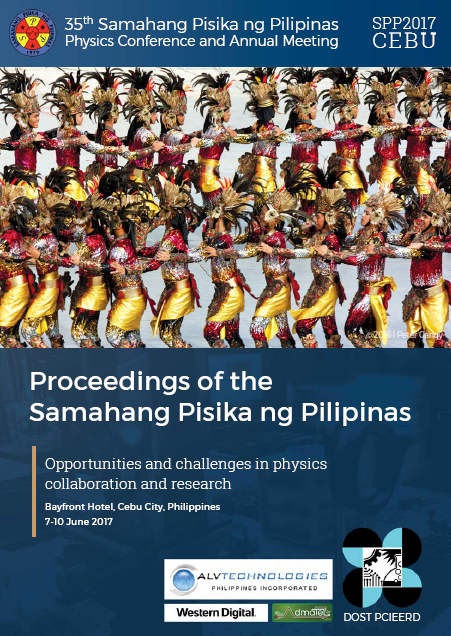 Linear elastic and piezoelectric response of BaNiO3 to strain, Proceedings of the Samahang Pisika ng Pilipinas 35, SPP-2017-PB-36 (2017). URL: https://paperview.spp-online.org/proceedings/article/view/209.